I am really behind in the editing of the Bradbury challenge so please be patient as I roll out several episodes this week. We are trying to remedy the situation and you can help! We started a Patreon campaign to raise funds to hire an audio editor so the shows will be out on time, with hire quality and we’ll be able to launch several new shows. Please read the details of our campaign here. In this episode, Maya discusses revising the color of color for submission to a literary journal. Gerald talks about the ways he backs up his writing, and Crissy wrote despite being seriously ill and feeling depressed. There are two children in the woods looking at the stars. This week we have a treat for you! 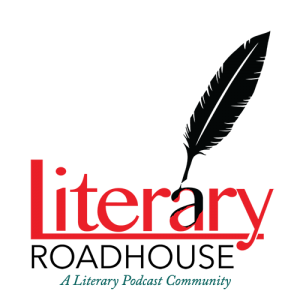 Literary Roadhouse Discussions in a new intermittent extra podcast where we discuss literature and writing with authors and other literary figures. Our first guest is Karan Bajaj. Karan Bajaj is a #1 bestselling Indian novelist with more than 200,000 copies of his novels in print, both optioned into major films. Karan’s first worldwide novel, The Yoga of Max’s Discontent, will be published by Random House on May 3rd’ 2016. The book, called “The greatest adventure of our Generation” by The Daily Telegraph was inspired by Karan’s one year sabbatical traveling from Europe to India by road and learning yoga and meditation in the Himalayas. During our discussion, we dove deep into how travel and adventure affects his writing. His own spiritual hero’s journey and the reflections seen in his novels and the four one plan that Karan lives by; where he works a normal job for 4 years and then takes a 1 year sabbatical to refill his well of spirituality and creativity. This a wonderfully interesting discussion on writing, reading and life, we hope you enjoy it. THE YOGA OF MAX’S DISCONTENT will be published worldwide by Random House on May 3, 2016. The book is about a Wall Street investment banker who becomes a yogi in the Himalayas and is both a page turning adventure through the hidden underbelly of India and a contemporary take on man’s classic quest for transcendence.